Who: You and a guest. 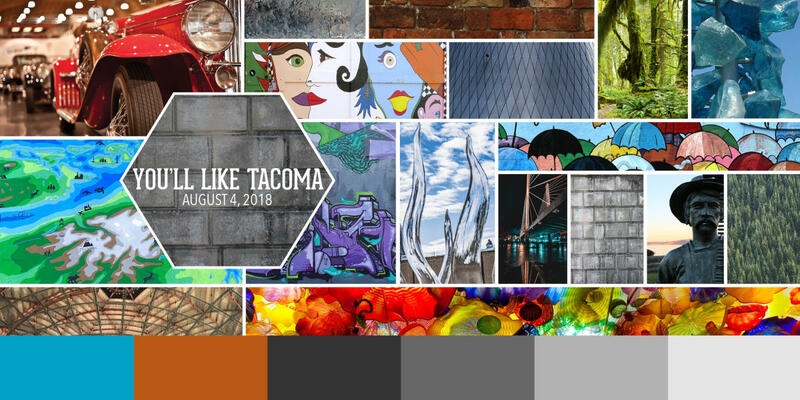 What: You’re and a guest are invited to a one-day unguided tour of Tacoma. We’ll provide a list of suggestions and activities; all you have to do is come to Tacoma to enjoy all the city has to offer. You’ll have VIP access to the Museum of Glass, Tacoma Art Museum, America&apos;s Car Museum, Washington State History Museum, Foss Waterway Seaport and Point Defiance Zoo & Aquarium. You&apos;ll also receive a $100 voucher to use at local boutique Stocklist, or any of several museum gift shops. Once you have your credential, there&apos;s no itinerary and it&apos;s unguided, so you can see the city at your own pace. We&apos;ll also provide a list of places that you shouldn&apos;t miss, as well as great photo spots throughout the city. Additionally, you are invited to some very photo-worthy opportunites throughout the day. See below. When: Saturday, Aug. 4, 9:30 a.m. - 10 p.m.
What better way to experience a gorgeous city and see its historic skyline than from a boat on a (fingers crossed) beautiful, sunny Northwest summer day? 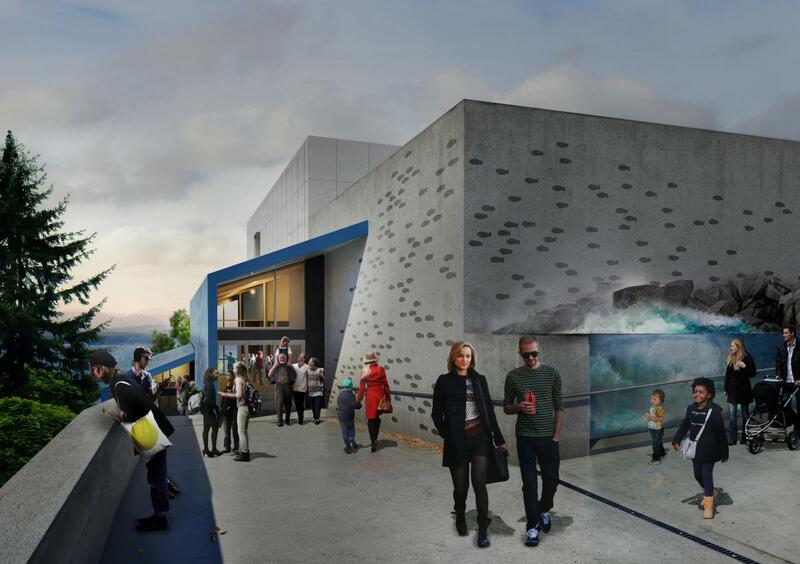 The new Pacific Seas Aquarium at Point Defiance Zoo & Aquarium is expecting to open on Sept. 7, but you can be among the first to see the sharks, rays and other sea life in this incredible building. What happens when you combine the masters of flame, smoke and single malt together on a hot summer night? And host it at the largest car museum in North America? 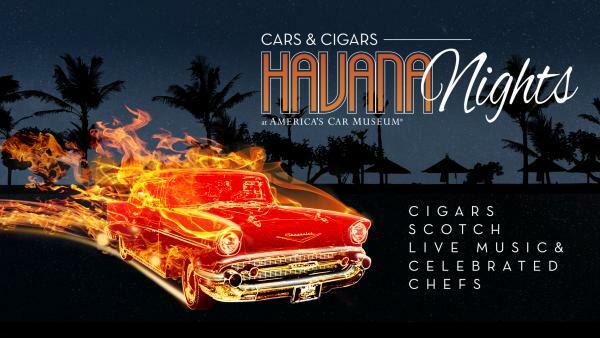 The answer is Havana Nights, a celebration of cars, cigars and barrel aged beverages. This year will feature a pig-roast and flame fueled Cuban cooking styles from Tacoma’s most celebrated chefs. 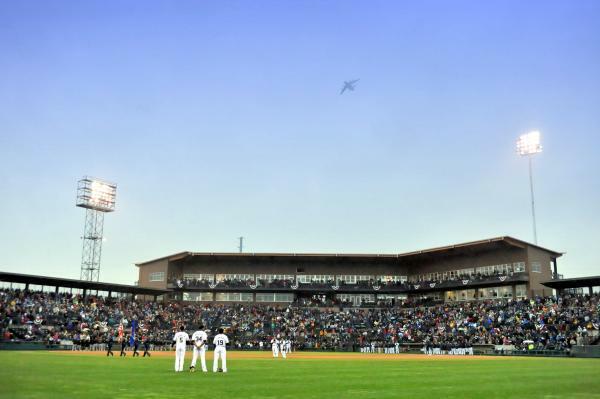 Take in a game at the historic Cheney Stadium, which just last year hosted the Triple-A National All-Star game. Have a beer and a hot dog. See some of the future stars of the MLB fighting their way to the top. 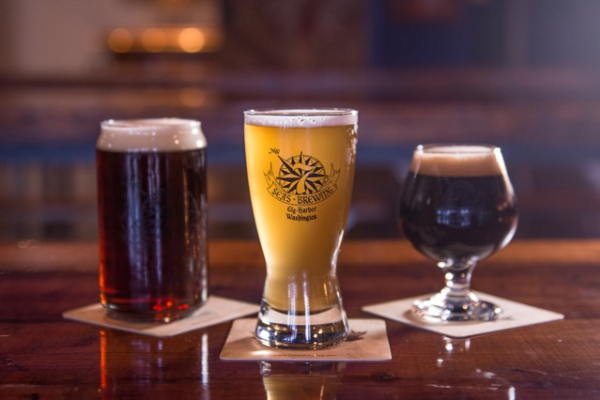 7 Seas is Pierce County&apos;s biggest producer in terms of craft beer, and their expansive, historic space is the perfect place to enjoy a delicious lunch from 3uilt. We all know Seattle has craft beer around every corner, but some of the most innovative work in the field is happening down in Tacoma. 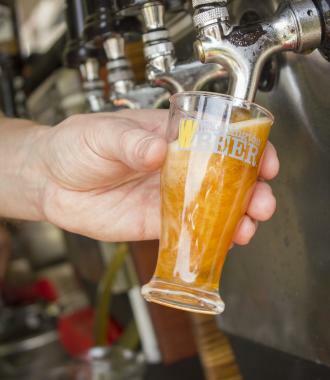 Did you know you know there are seven craft breweries along the free-to-ride Tacoma Link Light Rail line? Q: Why are you guys doing this? A: Tacoma has come a long way in the last 10-15 years, but some folks in the Northwest hold onto old ideas. Pierce County now gets more than 5 million visitors a year, yet many people in the Seattle area haven&apos;t seen Tacoma first-hand in years, if ever. Those that have become some of our biggest fans and most regular visitors, but we want to give people a glimpse of what they might not expect. We&apos;re hoping that your visual storytelling can help us reintroduce ourselves to your audiences, so they can appreciate what Tacoma has become: A laid-back, glass-art-focused waterfront destination with all the craft beer and coffee culture you&apos;d expect from a Pacific Northwest city. Also, let&apos;s just get this out of the way: The Tacoma Aroma is a thing of the past. A: We checked out an absolute ton of Seattle-area Instagram accounts (seriously - it was exhausting) and found that your aesthetic and audience fit well with what Tacoma offers visitors. We hope you&apos;d agree with that, even if you aren&apos;t able to make it on the tour. Q: So...how does this thing work on August 4? A: Once you&apos;ve reserved your spot, you&apos;ll make your way down to Tacoma on Saturday, Aug. 4. We recommend carpooling or taking the bus (it&apos;s much more convenient than you&apos;d think), but you can drive yourself and we&apos;ll provide parking. Show up at the Tacoma Visitor Information Center (1500 Commerce St.) and pick up your credential, information packet and $100 voucher. Then start seeing the city, using the map and our recommendations. Once you&apos;re in town, you&apos;ll be able to see a lot using the Tacoma Link Light Rail that takes you right through the middle of downtown Tacoma. It&apos;s free to ride. Or the Downtown-to-Defiance Trolley that goes from the Tacoma Dome to Point Defiance Park, and makes stops all along the way. Naturally, while you&apos;re doing this, we&apos;d love it if you&apos;d post on Instagram, whether its stories or posts, but you&apos;re not obligated. Once you see how beautiful the city is when you&apos;re not on the freeway, we&apos;ll think you&apos;ll really want to. Q: What&apos;s expected of me, as a participant? A: We want you to share your Tacoma experience - good, bad and (hopefully not) ugly - with your followers. Whether that&apos;s in an Instagram posts, Instagram Stories, tweets, Snaps or blog posts, we just want you to feel free to share what you&apos;re seeing with your own eyes. 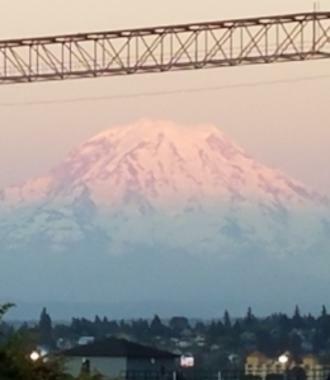 Realize that many of your followers have heard about Tacoma one way or another, but haven&apos;t been here themselves. We just want to give them the chance to see things as they really are, through your eyes. While we won&apos;t have a contract with you, we do appreciate every post, every tweet, every hashtag and @mention, as long as it&apos;s honest. Since the budget for this campaign is only for hosting participants, if your content is strictly pay-for-play, we&apos;d appreciate knowing of that ahead of time. We&apos;d hate for you to go home with an SD card full of photos that will never see the light of day. Q: Will there be a schedule or set itinerary? A: No schedule, but we&apos;ll provide you a list of recommendations, hidden gems, and places that are open to you as part of this open-city day. 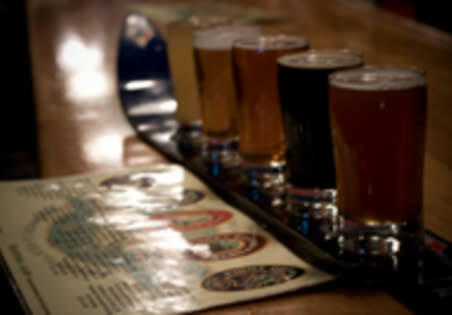 There will be a hosted lunch and beer tasting we&apos;d invite you to attend, and other activities offered that have to be scheduled in advance, but no minute-by-minute itinerary. You&apos;re free to roam the city. Q: Is an overnight included? A: This is for a day trip only, but if you&apos;re interested in doing an overnight at a later date, please let Matt know and he&apos;ll help make the arrangements. Q: How will I get there? A: It&apos;s up to you, but we&apos;d recommend driving (carpooling if possible) or taking the bus. Part of the fun is realizing that Tacoma is not that far from where you live, and especially for a weekend away, it&apos;s a pretty quick trip. Q: What about my friend? She&apos;s an influencer as well. Are you inviting her? A: Maybe! Just send her (or his, or their) information to matt@traveltacoma.com and we&apos;ll see if they&apos;re a good fit for this. If not, they can always be your designated guest! Q: How do I get my credential and information? 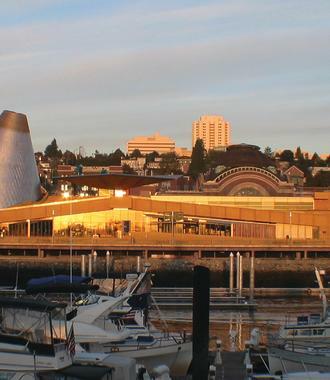 A: Your first stop in Tacoma should be the Tacoma Visitor Information Center. I&apos;ll be there to hand you your credential, information packet and $100 voucher, and answer any questions you have. Q: Is there any compensation involved? A: Unfortunately, we&apos;re not able to compensate influencers for this trip beyond the hosting and voucher. It&apos;s not that you don&apos;t deserve it; more a budget (or lack thereof) thing. Hope you understand and will still be able to join us for an epic trip down to Tacoma! Q: Why "You&apos;ll Like Tacoma"? A: Because history. And because we think you&apos;ll like Tacoma.